The fossilized remains of a previously unclassified hominin species are discovered in the Altai Mountains, prompting teams of scientists from around the globe to converge upon this isolated region of Siberia in search of further evidence to corroborate the revolutionary theory that a third protohuman ancestor coexisted with Neanderthals and primitive Homo sapiens. What awaits them is anything but extinct. FBI Special Agent Grey Porter leads the investigation into the mysterious circumstances surrounding the appearance of a factory trawler of Russian origin off of the Washington Coast. He finds 12 bodies, all of them exsanguinated through ferocious bite wounds on their necks. According to the manifest, there should have been only 11. Whatever killed them is no longer onboard. Elena Sturm of the Seattle PD is assigned to patrol the waterfront renovation project on Salmon Bay. While rousting the homeless from the underground warrens of the massive construction site, she stumbles upon the corpse of a man whose wounds are identical to those of the victims aboard the ghost ship. Something has cut a bloody swath across the Pacific. I started this book one afternoon and finished it the following day. I couldn't stop listening! I'm much more into sci-fi. So this book was just enough "weird" to keep me interested. The narrator did a fine job. There were no editing problems that I can recall. There were just a few little things that bothered me, but didn't detract from the 5 stars. In the beginning, there was a guy that got scratched and he became very ill. I was expecting him to turn into something or at least die. He was extremely sick, which was caused by the scratch. (At least I'm remembering it as a scratch. I don't think it was a bite.) Later on, the lead female character gets scratched, pretty severely and nothing happens. There's more time spent on describing the scratches, the talons going into her flesh like fish hooks, skin parting, talons gripping, hands curling, etc. Nothing else is mentioned. She doesn't get sick or even a band-aid. The following day, after a night's sleep, she's up and getting dressed up for a formal dance/mayor's shin-dig thing. Slices like that should have at least gotten some stitches. And now that I'm finished, I look at the book cover. I can see how they tried to make this look like one of them, but what about the teeth? To sum it up, I highly enjoyed the book and give it 5 stars! FBI thriller with a TWIST! You like FBI storeys? Oh you do? Then you will like this. This is a good FBI thriller from Michael McBride. I never read something from him, and i have lost out i understand after this book. 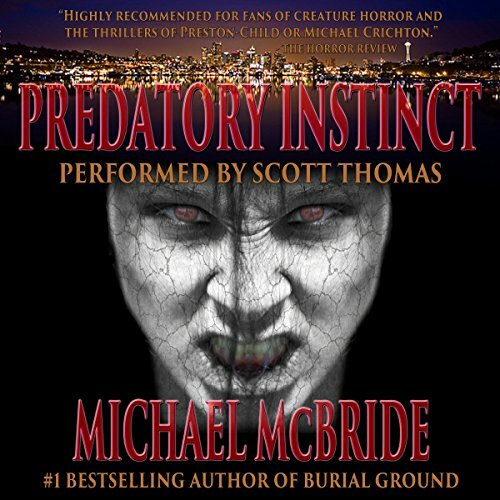 I would recommend "Predatory Instinct" to any one who enjoys a great thriller. But this is a story with a Twist! Most because of this "creature" the FBI is chasing! Its when the Sfi elements comes inn i feel this book is at its best. I think this is a book all people will LIKE, but not love. The efforts of the FBI team is engading, but not fantastic. So not full pot. Scott Thomas is fantastic! Not only fantastic, but he almost make the book better. I like his tone, way of talking and voice! He is really, really, really just OUT of my head the BOMB! So i would love to hear more from him. 9 hrs and 2 mins goes so fast i almost forgot to do something. So i do recommend this book, and i would love to see more from Scott Thomas AND Michael McBride. I think we have a winner in both. I am not sure what more you can wish for! Maybe i BIT better Story, but its not far away from full 5 out of 5! 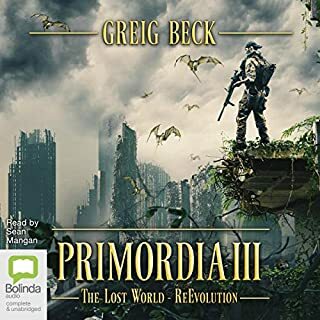 Predatory Instinct was a well written thriller about a lost dangerous hominid species discovered and the fallout from this discovery. The book was interesting, and the writing style was engaging and easy to follow, and the narration was excellent. The story background, the setting, and the overall premise was very well thought out, both the monster origin location and the Seattle underground setting. I did honestly find it lacked one thing I really like in any story - at least one character you like. I can deal with that if the book is a straight out tragedy, where nobody gets out alive, but not in a story like this. The story has many characters, most are downright baddies, some a bit greyer. But the nominal lead "good guy" characters, Grey Porter and Elena Sturm, start off well, but at some point in the story they become emotionally attached and protective towards the monster in the book, because oooh, it looks and sounds so sad, and is so young, poor baby. At this point, the book is beyond grey, and there is no-one left to root for, no-one you hoped win. Kind of leaves me feeling a bit unfulfilled. I actually felt that I could relate more at some level to the rich father who starts on a path of vengeance, but end up trying to feed his money god. Scott Thomas is a fantastic narrator, and I've other books of his in my library. I hope he has many more books in the works. Note that I was provided this audiobook at no charge by the author, publisher and/or narrator in exchange for an unbiased review via Audiobook Blast. 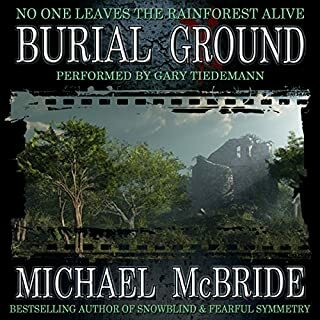 I've previously purchased audiobooks by Michael McBride so I was glad for the opportunity. What would have made Predatory Instinct better? Not this author. I am starting an Alistair Reynolds scifi thriller now. What aspect of Scott Thomas’s performance would you have changed? On balance, not a bad performance, given the almost trite material the performer had to work with. He can be somewhat bombastic at times, but certainly not a bad effort. If you could play editor, what scene or scenes would you have cut from Predatory Instinct? Anything to do with Seattle, and on board fish boats. Clearly the author is either taking massive creative license OR has never been on board a fish boat let alone visited Seattle. I don't want to come across as petty, but I just couldn't handle the inaccuracies in this one. I received this book in exchange for a fair and neutral review. I am disappointed in this offering. It was poorly researched, took far too much artistic license with places and things , and was overly political. Your mileage may vary, but this one really didn't work for me. I can't recommend this one, and hope for better from this otherwise good team. When I first began this book, I thought I was going to get yet another “crazy man tries to take over the country” story with stock characters, and a feisty but cute cop. I was wrong on all counts, and very happy about that! OK, some of those elements are there …there is definitely a crazy warrior all set to take over the country (on his way to taking over the world), but …the author rearranges him quite a bit, especially where motivations are involved, so he become extremely interesting as things progress. There is a feisty cute cop, too …who also happens to be a budding crime scene investigator, and is sensitive and compassionate to boot. Watching her was a treat, because she could be forceful, kind, unpredictable, subtle and forthright, in turns …or occasionally all at once. Her co-hero wasn’t at all a stock character, but a marvelous FBI rebel, willing to endanger his career for …the monster. 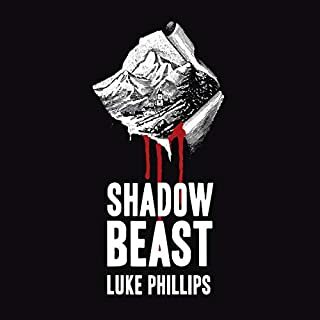 Yes, there is a monster, and it does all the stuff monsters do, with lots of blood and gore …but there is a surprise there that sets this book apart, and moves it out of being at all trite. Granted, the premise stretches my suspension of disbelief almost to the breaking point …but almost is the operative word, because that premise isn’t quite impossible, either. I did have some issues with the narrator. There is a part of a ship called a gunwale …and it is pronounced GUNNEL. There were a couple of other mispronunciations, but that one occurred enough times that I noticed, and gritted my teeth each time. Also, at one point the author misread a simple word, and that should have been edited and corrected. While the mistakes weren’t major, I am used to an extremely high quality of production from books from Audible.com, so yes, I have very high expectations, there. Still, all in all, I’m glad to have read this essentially excellent book, and would give the book 4.9 out of 5 stars. I can’t be as generous with the narrator …even the little things are important, so 3 stars, there. Should have been called "Relic 2: Seattle"
If you've ever read Relic by Preston & Child (or seen the Tom Sizemore movie,) this is pretty much the same thing. Though I much prefer the P&C book, this is a fun read. Audiobook needs a bit of cleanup on the editing. I liked the author's last book better! If you could sum up Predatory Instinct in three words, what would they be? What other book might you compare Predatory Instinct to and why? 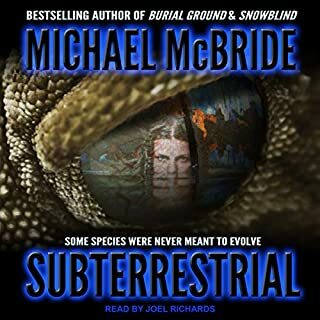 I like Michael McBride's other books as well. Looking for a sequel to The Coyote. What does Scott Thomas bring to the story that you wouldn’t experience if you just read the book? I really liked his narration style. I received a complimentary copy from AudioBook Blast in exchange for an honest review. Would you listen to Predatory Instinct again? Why? First I'll say I don't listen to any police type books but I had this in my wish list for a while because the premise seemed so fresh. And yes, I would listen again because it was a little difficult to keep up with all the characters and groups in the beginning. I love being able to stretch my horizons with offers of free read for review. The 'monster' was so well thought out! It reminded (in a good way) of Aliens. The narrator did a decent job considering all the different voices. The entire book was so fast paced. I really think it would make a great movie, creepy and uber bloody :-). Which character – as performed by Scott Thomas – was your favorite? FBI Agent Grey Porter was was funny, wisecracking and conceited, so he of course must be my favorite! After the first attack, the survivors regroup and start realizing the special abilities the monster has. It was very interesting because it starts you thinking about our evolution and theirs. "Ok" book. Spears was irrational and annoying throughout. I don't understand why female characters have to depicted as creatures singularly driven by shear emotion. I was expecting a book in the level of Crichton, instead, I found Myself wallowing through a slow paced, unnecessarily overly described so-so story. I bought the audio book to keep my brain occupied during a long trip, but found my forehead slapping off the steering wheel after the first chapter. Just plain disappointing. And I am a former police homicide detective!!! 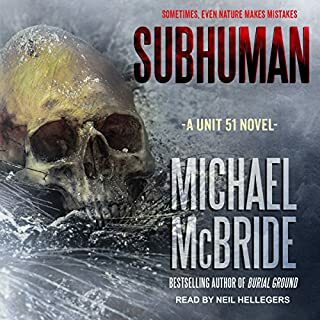 Just as my overuse of "ly" words in this review, I found repeated Mr. McBride's use of the word "orifice" to be grating and felt that the uber-detailed descriptions were included to stuff his novel with words to make it a full length novel. The narrator was very good but his telling of the story didn't pull me through the blah. Don't waste your money on the audiobook unless you have NO reader experience with crime scene or investigative techniques. You'll get LOTS of that in this book. But not so much in the thrill department. This dove straight into the plot, of some prehistoric cave-man/monster attacking researchers. You follow the deaths as the boat makes its way back Stateside. This was very similar to "The Relic" in that the beastie makes its home in the sewers; but still tense enough that you were on edge listening to it. 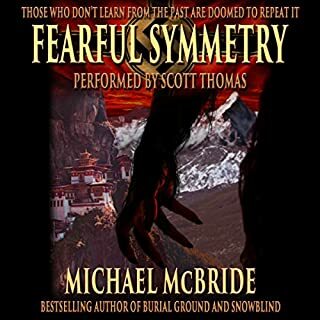 Would you try another book written by Michael McBride or narrated by Scott Thomas? Has Predatory Instinct: A Thriller put you off other books in this genre? What about Scott Thomas’s performance did you like? Was Predatory Instinct: A Thriller worth the listening time?